Founded in 1991 by John F Heltzel, AIA, P.C. is a team of architects, engineers and craftsmen dedicated to finding creative solutions to both residential and commercial clients. We offer a full range of architectural services with over 100 years of combined experience. Heltzel has built an extensive client list not only in Northern Virginia, but across the country with 75% of the firm’s work for repeat clients. John Heltzel is a registered architect in Virginia, Washington, D.C., Maryland, Pennsylvania, and Michigan. After spending four years with Karl E. Kohler Associates as a project architect, John founded Heltzel AIA in 1991. 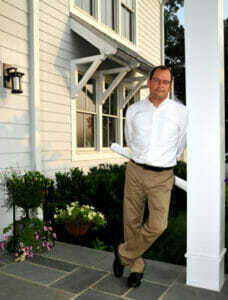 John has more than 20 years of experience in residential and commercial design and construction projects. Praised by clients for his creativity, willingness to listen and collaborate, he is also firmly committed to his community. He currently serves on the board of Northern Virginia Family Services and has served as Vice President of SERVE, Inc. John has been a volunteer for the American Red Cross and the Boys and Girls Club of Manassas.